Meet the innovators prototyping nature-inspired, planet-saving solutions. Biomimicry — from the Greek “life” and mimesis, meaning “to imitate” — is the notion that the natural world can be used as a model for human design. It’s part of what what drives 3,000+ people to descend on San Rafael, California, each fall for the Bioneers Conference. Bioneers has a reputation for solar-baked mushroom cookies and drum circles, and for a “nerdy Burning Man where people actually keep their clothes on” aesthetic. But at its heart, Bioneers is a nexus to explore nature-inspired solutions to social and environmental challenges. This year’s summit also served as the culmination of the third-annual Biomimicry Global Design Challenge, sponsored by the Biomimicry Institute in partnership with the Ray C. Anderson Foundation, which was established to honor the late Ray Anderson, a Georgia carpet baron and industrial engineer who became inspired to halve the ecological footprint of his company, Interface Carpets, after reading Paul Hawken’s The Ecology of Commerce. Teams of scientists, designers, and social entrepreneurs from around the world came up with innovations based on the theme of Climate Change: Reversal, Adaptation, and Mitigation. Out of hundreds of entries addressing issues like reforestation, carbon capture, food systems, heating, cooling, and more, six teams of finalists ended up spending the past year incubating their ideas with support from the Biomimicry Institute. 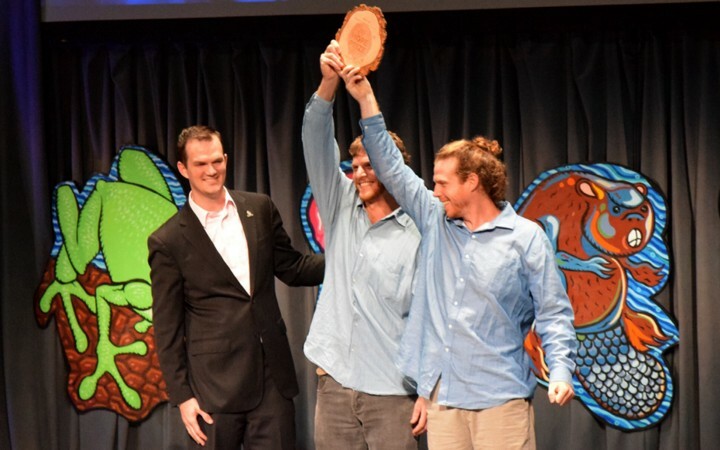 At Bioneers last month, applications for the next round of the Global Design Challenge opened to the next cohort of innovators, while the current teams took the stage at the Marin County Civic Center, where they stood before thousands of environmental advocates (and potential investors) to learn which among them would receive the grand $100,000 Ray of Hope Prize. ExtrACTION: Look up at the architecture building on Cal Poly San Luis Obispo’s campus and you’ll spy little white-spiraled modules lining the roof. They aren’t solar panels — it’s a new technology that passively extracts carbon dioxide from the air. 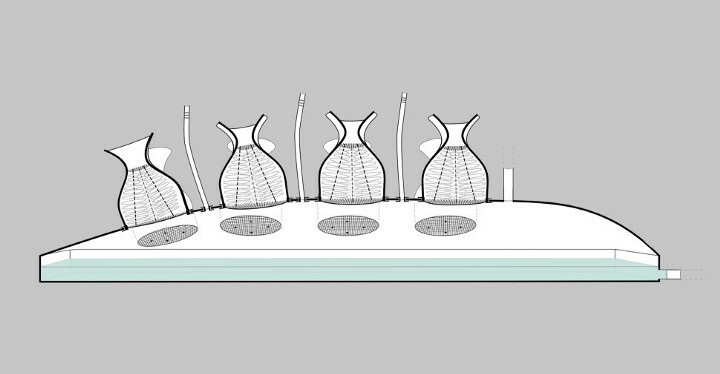 The team also found inspiration in cacti, which maximize air flow and atmospheric water capture, thus creating an internal carbon-scrubbing and filtering system, and ultimately modeled the shape of their panels after termite mounds, which optimize fluid flow. The carbon-sponge panels, which are coated in the resin, can be placed atop barns, along freeways — anywhere, really — to draw air in and carbon out, to the tune of 870 grams per day (roughly equivalent to two miles’ worth of vehicular emissions). When rinsed, ExtrACTION panels emit a carbon-rich brine solution that farmers (the team’s target market) can use as fertilizer. The simple, low-cost two-fer of a carbon capture/Earth-friendly fertilizer solution won Team ExtrACTION the “People’s Choice” Bioneers award. 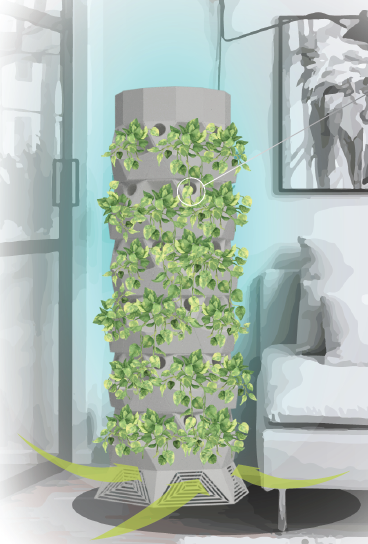 Cooltiva: You’ve heard of plant-powered diets, but what about a plant-powered alternative to air conditioning — one that makes being inside on a sweltering day feel like sitting beneath a lush, shady tree? Industrial designer Syndy Dovale Farelo hails from Barranquilla, Colombia, where global warming is rendering the already hot climate even more uncomfortable. She says residents who can afford to do so rely on AC to cool down, but that this is unfortunate, as chemical refrigerants are one of the most potent contributors to climate change. Enter Cooltiva, an artfully designed cooling system that uses water, plants, and wind to strategically direct air through cooling channels, where it loses heat via evaporative action. The team found inspiration in leafcutter ants, which move the coolest surrounding air into their mounds; trees, which use evapotranspiration to reduce the temperature of incoming air using only water; and rose-shaped plants like the frailejon, whose funnel shape and network of channels efficiently capture and direct water flow. What struck them in particular was seeing how aquaculture — a major source of food in the villages — was being ravaged by all that pollution. So, taking inspiration from the oral cavities of devil ray fish — which filter food particles via a gill structure that prevents them from flowing out through the gill — they designed an affordable device that could be easily mounted anywhere to trap and filter airborne particulate matter. Their Refish device was originally designed to be placed on vehicles; however, Lin and Lin ultimately opted to focus on installing their device beside aquaculture ponds. “We chose to work with fishermen first because we could measure a direct effect on their fish, and because their livelihoods are directly affected by pollution,” says Hung-Jen Lin, who studied mechanical engineering in grad school. 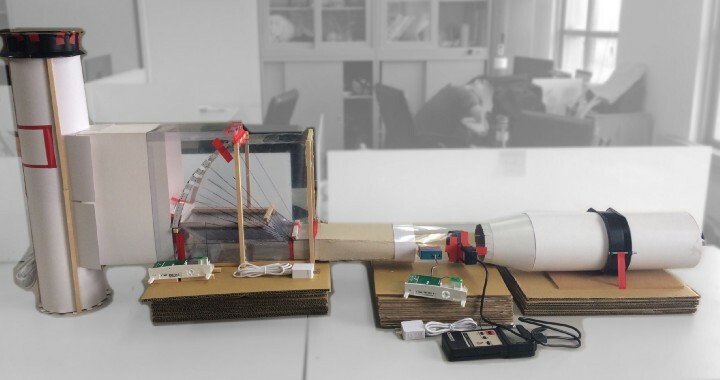 The team is presently prototyping their design in the lab and planning to field-test it soon in factories and in the villages where they found inspiration.“We’re hoping villagers affected by pollution can recover their economic losses,” Hung-Jen Lin says. Rootlink: The global food system contributes about a third of all human-caused greenhouse gas emissions. Transportation accounts for 11 percent of food-related emissions, with conventional grub traveling an average of 1,518 miles from farm to fork. Taking a cue from mycorrhizal fungi, which support healthy soil ecology through a decentralized underground distribution system, Mohammadi and her Rootlink team members devised a similarly decentralized urban food distribution system and launched it 18 months ago in Northern California’s Bay Area. In launching, they partnered with the Butterfly Movement, a national nonprofit that provides programming to help young African American girls reconnect to the land. 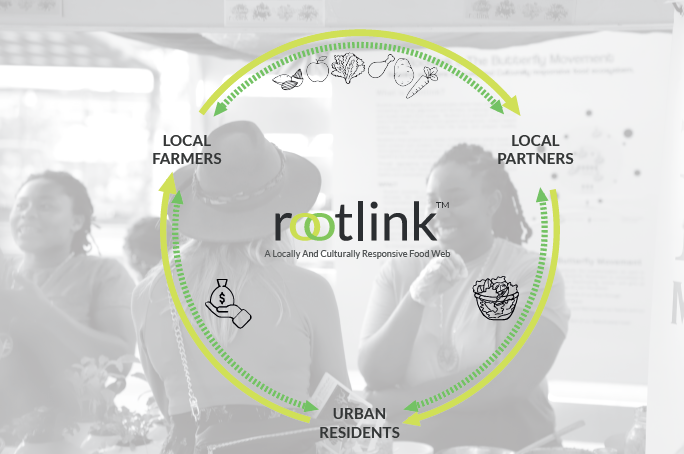 The Butterfly Project’s West Oakland urban garden had produced surplus crops, so Rootlink stepped in to help them set up local access points to distribute salads and other nourishing, low-cost food prepared by Butterfly Movement members to the local community. Next up? Bringing Rootlink to San Francisco. “There’s a dense population there. We’re working with several farms, and we’ve identified 265 distribution points,” reports Mohammadi. Biothermostart: Every time Mauricio Ramirez stepped into a large industrial building in his hometown of Mexico City and felt air conditioning on his skin, all he could think about were the huge amounts of energy being guzzled. A self-described “architect with a heart of a biologist,” Ramirez knew the living world was rife with examples of energy-efficient temperature regulation — models, in other words, for harvesting wasted heat and cycling it back through one’s system. So, he teamed up with fellow students in his biomimicry master’s program, who challenged themselves to think of buildings as animals with powerful thermo-regulating circulatory systems. They came up with Biothermosmart, a network of simple patches or stickers that are interconnected by insulated hoses — modeled after the constellation of veins within the circulatory system of a large animal (like an elephant). Turn the patches over and they reveal mesmerizing, three-dimensional networks of pathways that call to mind a dragonfly’s wing. “It’s a structure that allows for the flow of a small quantity of fluid, which is more efficient than a massive amount,” explains team member and industrial designer Daniela Esponda. The simple-to-install patches are designed to be applied to the walls of industrial buildings; in particular, IT server rooms, boiler exhaust chambers, and other areas where machine-generated heat tends to be grossly wasted. The patches capture heat when temperature rises — saving it for later use — while keeping buildings cool. Ramirez describes Biothermostart — which garnered the contest’s second-prize $25,000 award — as a fossil-fuel-free “air-conditioning fireplace” that can be scaled to cool homes and even personal devices. “It’ll result in us getting rid of systems that use toxic liquid, like air conditioning,” Esponda says. Nucleário: Industrial designer Bruno Rutman Pagnoncelli was paragliding over the Brazilian rainforest one day when he looked down and realized the extent to which deforestation was devastating the land where he’d grown up. “From the clouds, I saw many naked mountains and realized we needed an innovation to solve the problem of disappearing forests,” Pagnoncelli says. Team Nucleário has been testing their system with Brazil’s World Wildlife Federation in the highly biologically diverse Cerrado region. They’re already seeing positive — and verdant — results, which may be why they were the Ray of Hope grand-prize-winning team. This article was originally published by SierraClub.org. Katie O’Reilly is Sierra’s adventure and lifestyle editor. Follow her on Twitter @katieowrites. Biomimicry—from the Greek “life” and mimesis, meaning “to imitate”—is the notion that the natural world can be used as a model for human design. It’s part of what what drives 3,000+ people to descend on San Rafael, California, each fall for the Bioneers Conference. Bioneers has a reputation for solar-baked mushroom cookies and drum circles, and for a “nerdy Burning Man where people actually keep their clothes on” aesthetic. But at its heart, Bioneers is a nexus to explore nature-inspired solutions to social and environmental challenges.